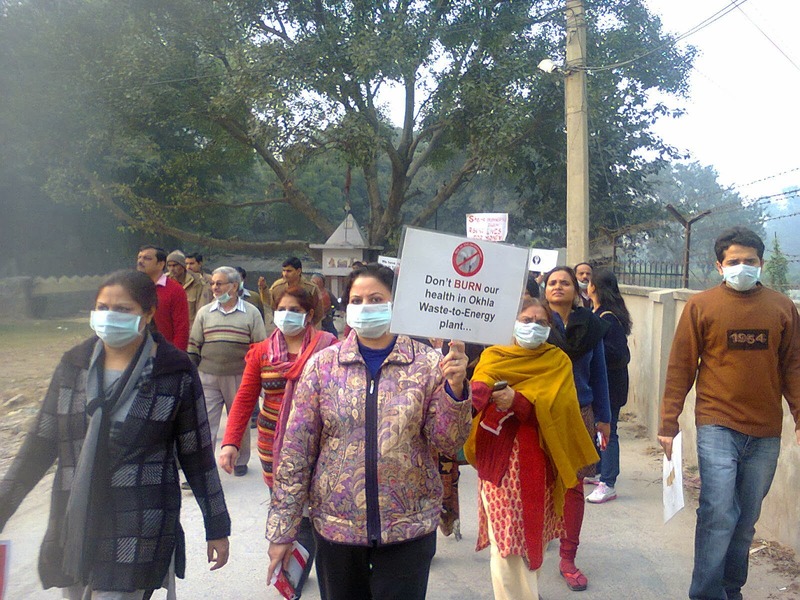 New Delhi, Jan 5, 2014: Hundreds of people marched through Okhla on Sunday, Jan 5th to protest against toxic emissions from a Waste-to-Energy incinerator being operated by Jindal Ecopolis close to their residences in violation Supreme Court orders and Municipal Waste Handling Rules. 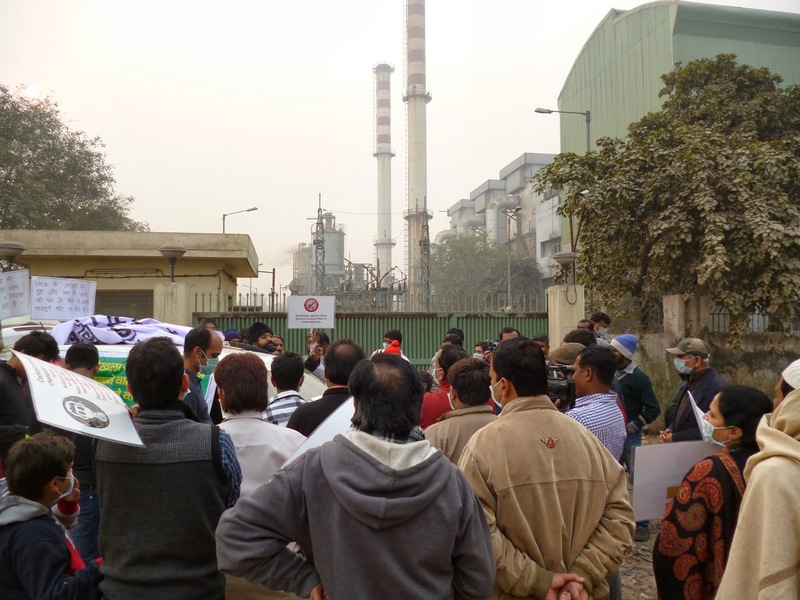 They also demanded that Delhi Pollution Control Committee (DPCC) should cancel the consent to establish given to the illegal and illegitimate plant. 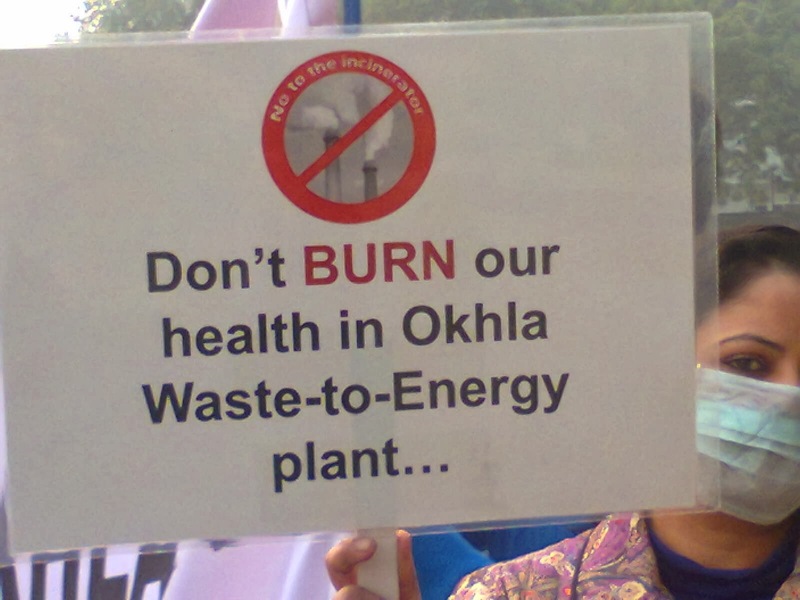 The hazardous waste to energy (WTE) plant and a biomedical waste incinerator nearby have been visibly polluting the environment around Okhla that includes major hospitals such Holy Family, Apollo Indraprastha and Fortis Escorts Heart Care Institute. It is also close to such landmark institutions as the Jamia Millia Islamia, Bahai Lotus temple and the Okhla Vegetable market posing a serious threat to public health. They also threaten the flora and fauna of the Okhla Bird Sanctuary and Wildlife Park. The protestors recalled election promises made by the ruling Aam Aadmi Party (AAP) that the plant would be shut down. Dharamvir, the local candidate of AAP who participated in the protest march said on behalf of Chief Minister Arvind Kejriwal that action would be taken against the plants at the earliest. 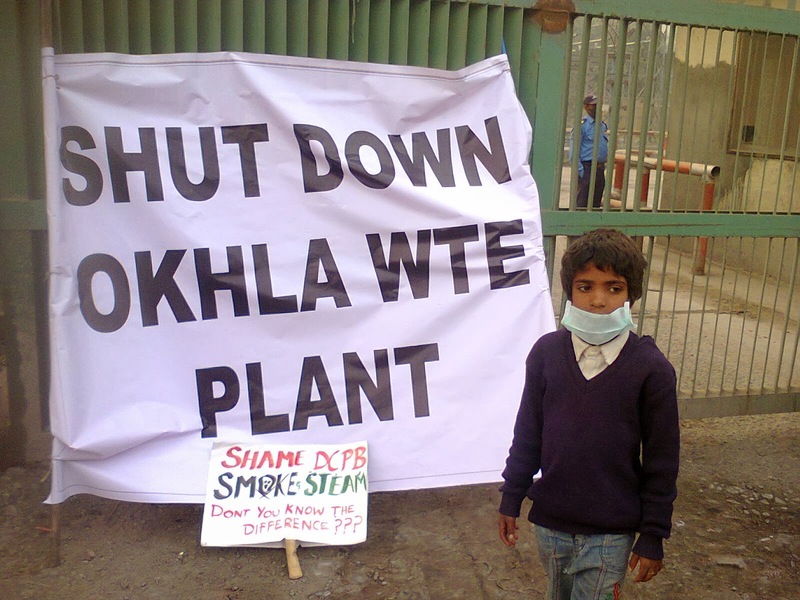 The residents have been demanding closure of the power plant by Delhi’s Timarpur-Okhla Waste Management Co Pvt Ltd (TOWMCL) of M/s Jindal Urban Infrastructure Limited (JUIL), a company of M/s Jindal Saw Group Limited since 2009. The Jindal's plant is meant only for 2050 tons of municipal waste. After 28 dates of hearing at Delhi High Court and about a dozen hearing at the National Green Tribunal (NGT), the matter is listed for hearing yet again on January 15, 2014. 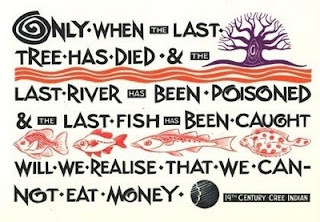 Environmental groups have demanded stoppage of the power plant since March 2005. The company in question has set up the plant in total disregard of the human cost of waste incinerator technology. Waste burning is a fake solution and exposes the hollowness of carbon trade as it takes governments for a ride by making them adopt proposals for building landfills in the sky. Chinese incinerator technology and its ilk face relentless opposition across the globe. This plant represents environmental lawlessness in the national capital. Residents, students, waste recycling workers and environmental groups are protesting against an impending public health disaster.